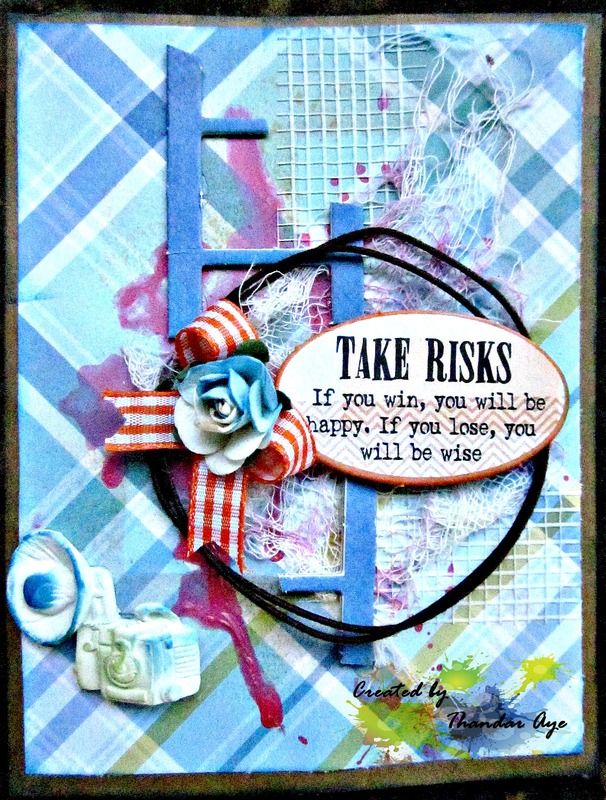 Hello All, This is Thandar, coming to show you a mixed media card that I have created Quick Quotes papers and chipboards. I have used Calypso chipboard and Serendipidy paper for this card. I had so much fun with splattering and splashing on the background. I have splattered some watered down acrylic paint. I, then, stain a little piece of cheese cloth using powder puff inks. I have also added little pieces of dry wall tape to add more texture to the card. Finally, above all textures. I have added chipboard film strips and sentiment. I have also added ribbons that comes with August Club Q to further embellish the card. I really love the way the card turned out.